Brahma is the Creator and Sustainer of the Universe and is known by many names, the Divine Absolute, Grandfather, One, Namely, the Universal, the Eternal Spirit Pervading the Universe, the Unborn, and so on. 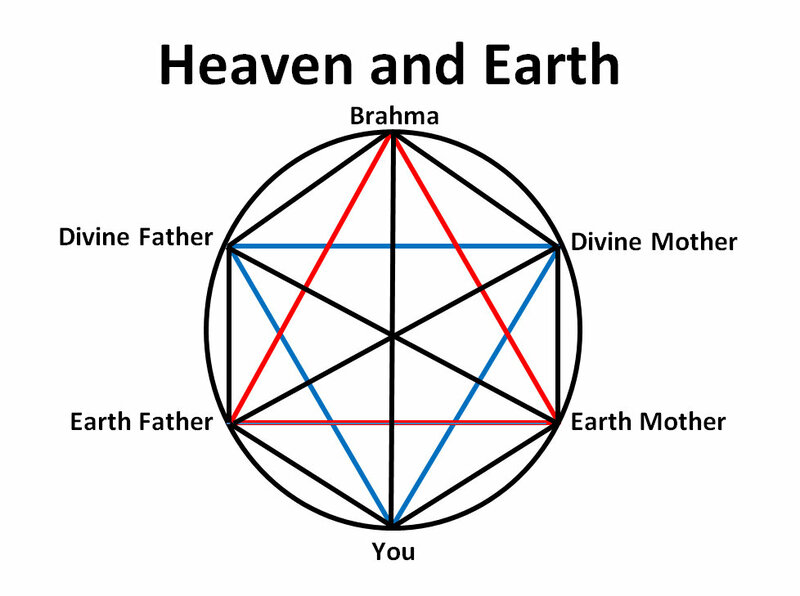 To create the universe Brahma separates into male and female, Father and Mother, Vishnu and Lakshmi, heaven and earth, and we are the descendants. Brahma is one and splits into two while remaining the same, and just as, there are three winds, breaths, for living, to and from to live with and with devotion the Holy One will arise in. Everyone upon the earth is connected, and the teaching is for all of us to live as one big happy family. Heaven and earth are outside of us for a place to exist and inside of us for rising to heaven. Brahma separates out of love for all beings, separates for comparison, for conceptions, and without that, there are no thoughts but one. Grandfather refers to a person as a mortal, a mover, a coverer, a reflection, an appearance, and a descendant. A coverer is the defender of a cover, a body, and for those with a body the breath is necessary. Brahma promises to bring the breath to every living being without exception and by maintaining to and from, people have the freedom to do just about whatever in this vast playground, albeit with consequences. The breath comes to saint and sinner alike and to accommodate everyone, the earth can be like the Garden of Eden or a hellish nightmare, the difference being a result of a person’s actions. The amount of time spent in selfless giving to others makes all the difference in the world. Here is a verse from the Veda to know. To be powerful with speed for a measure of air.